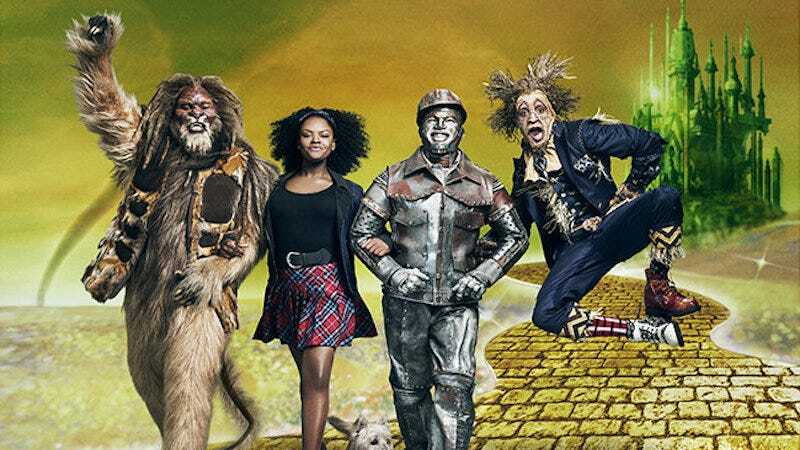 If You Have a Heart You'll Join Us in Live-Blogging The Wiz Live! As we amble down the road together in unison—to the sound of music—let’s keep in mind that this is a remake of a classic and has big RUBY SLIPPERS to fill. CNN has predicted that Black Twitter will be all over this musical event and they’re right. Sing a song! Because we’ve waited so long. We’ve written enough. And I’ve gotten enough email auditions about it (thanks guys!). Now it’s time for you to join me on this journey to Oz with the most random All-star cast: Queen Latifah (as The Wiz), Stephanie Mills (Aunt Em), David Alan Grier (Cowardly Lion), Uzo Aduba (Glinda the Good Witch), Ne-Yo (Tinman), Mary J. Blige (Wicked Witch of the West), Elijah Kelley (Scarecrow), Amber Riley (Good Witch of the North) and newcomer Shanice Williams as Dorothy. Beyoncé was supposed to be here, but she’s not. You are. Don’t be a coward. Drop your comments below.